with Mr. Da Wi Shin, Class of 2015. City College has a long proud history of unique individuals who join our community as students, ranging from budding scientists determined to lead the next revolution in astrophysics, to aspiring architects aiming to build energy efficient buildings, to talented writers creating the next great American novel. Ten City College graduates have won Nobel prizes, placing the institution among the top ranks of public colleges and universities nationwide. 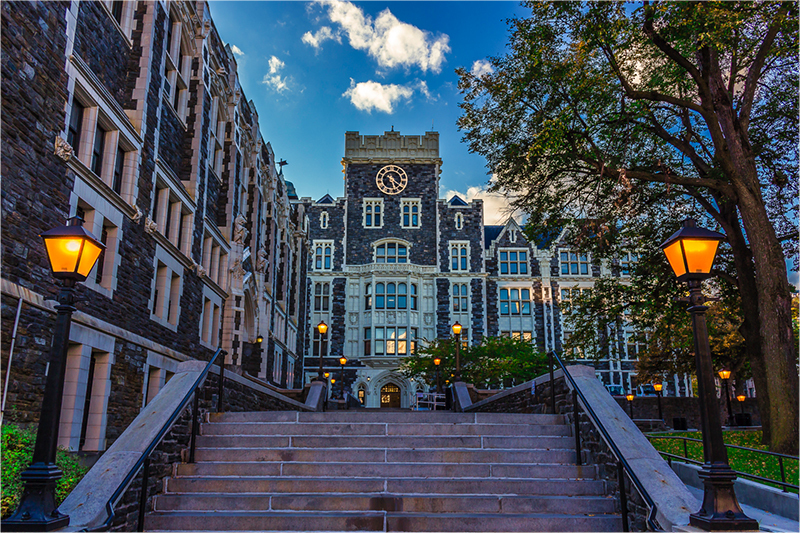 City College also produced numerous Oscar winners and recipients of the Pulitzer Prize, Emmy, and GRAMMY awards. We are only able to help unlock individual students’ academic potential because of donor support, which provide the resources for these brilliant minds to take flight. Unique among these supporters are alumni, who want to pass on their first-hand experience of the exceptional City College education. From making gifts to honoring a faculty member, to naming fellowship fund for future generations of students, to constructing state-of-the-art facilities, alumni donors shape our ability help our institution thrive. You have spent time in our classrooms, participated in the passionate discourses on all subject matters in every corner of our campus, or tested their theories in one of our laboratories. Now, give this opportunity to others.